Bobby was a one of a kind person. He had beautiful soul and a smile that could light up an entire room. He loved his Marvel Comics, collectibles and was a gifted artist. He could draw anything and make it look incredible. Bobby also loved his job where he worked with autistic kids. Every day he would come home and tell us how rewarding it was to help others. That was just the kind of person he was. Always looking out for others and being there for them when they truly need it. In February 2015, he moved to North Carolina to live with his best friend from childhood. He looked at this as a new opportunity for his future and it’s safe to say that excitement was an understatement. Six months later, the evening of August 7th, I spoke to him about how he was going to take a bus home to visit, ending the conversation with, “Mom, I’m going out with friends tonight, I love you and I’ll talk to you tomorrow.” It wasn’t until 7 hours later, August 8th, 2015, when I got a phone call saying that Bobby was hit and killed by a drunk driver. It was in that very moment I knew my life would change forever. We will never be able to watch our son walk down the aisle, his sister will never get the chance to see her big bother become a father, and his friends will never be able to laugh with him like they used to. This was all because of one senseless act. We forever will miss you! 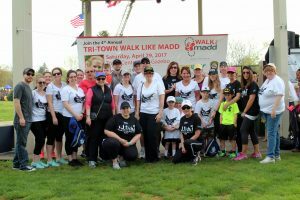 Bobby’s mom, Dawn D’Andria has been participating in the Tri-Town Walk Like MADD for the past two years with over 25 team members all supporting Team Hats for Bobby. 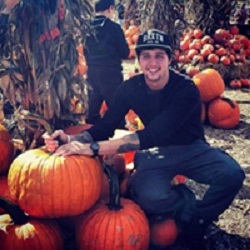 We are so grateful for her commitment to help MADD create a future of No More Victims and are honored to dedicate the 2019 Tri-Town Walk Like MADD in memory of Bobby DeGennaro. Hear the interview with Dawn D’Andria and Kayla DeGennaro on Connecticut’s The River 105.9.